We have been using My Father's world since Kindergarten, and we still love it. That said, we tweek it every year to fit our family. Below are how some of the books that did and did not work for us. We only use the basic package, plus I gather the read alouds. Hands On Activities: This year was a little repetitive of second grade Adventures in History. Some of our hands on crafts were fun of course, but we skipped some of the bigger ones that my boys still remembered from 2nd grade. Some are worth repeating, but others, like building Columbus's three ships in Aluminum foil, didn't seem worth repeating. There were some new ones, and they are usually quite easy to implement, and only once every few weeks. History Schedule: The schedule in the manual is again essential, because you will jump around so that the history study more sense; for example you will read all the chapters about Benjamin Franklin in George Washington's World in one week, even though the chapter's aren't consecutive in the book. History Schedule: My only frustration with the history schedule in the manual some of the choices about which chapter that are marked "optional"; i.e the chapters on the Native American General Pontiac are marked as optional, and were not covered in any other history book, but they are vital to American history. It my opinion, it's essential that we don't cover American history from only the English perspective. Story of the World: Story of the World was engaging because it really is again told as a story. It provided perspective from many sides of historical events, which is appreciated in a living book. The chapters are also not too long, and hold your kid's attention pretty well. 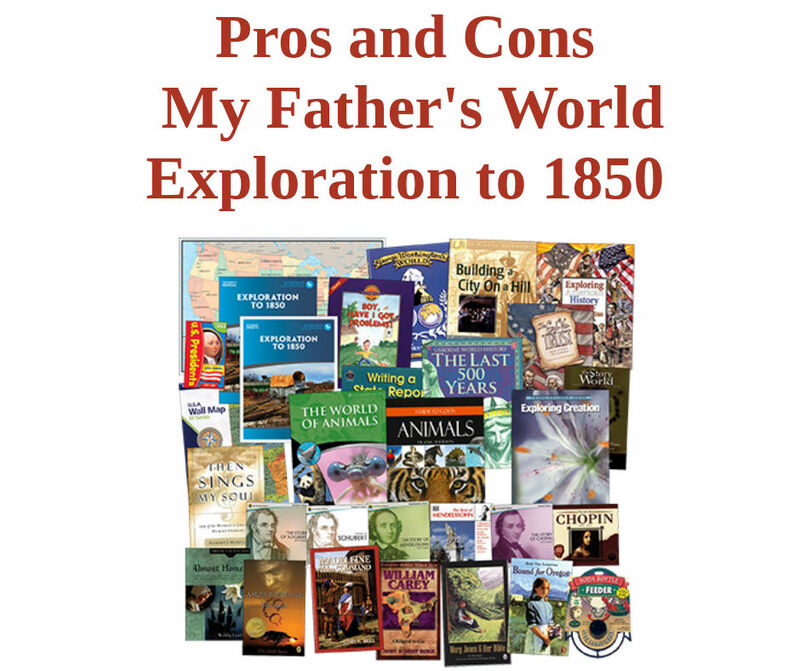 George Washington's World: This is a living book that will replace your read-alouds for a while because the chapters are pretty long. I enjoyed the details and character development in this book, but I know some moms don't like it because of length. Like I said in the manual it is important to follow the history schedule in manual because the book does bounce around a lot. If we had to sit down and read this book cover to cover, I think that it would probably not make as much sense and would be harder to digest. Some moms chose to skip this book, but I think it's really important to supplement it with a different text if you're going to skip it because it is an important balance to the other books suggested. In God We Trust: This is an interesting book about some of our founding members faith and how that affected their leadership. I think that the majority of the stories will start a good conversation, and many times discusses how one of the founding fathers didn't agree with an injustice that was happening, like Thomas Jefferson advocating for the freedom of slaves while writing the Declaration of Independence. U.S President Flashcards These are a great resource that I would highly recommend, BUT we don't use them as the manual suggests. The manuals suggest you glue to your notebook page. Instead we choose to order one set of these cards for the family, then print our pictures of the presidents for each of our notebook pages. Map of the World Placemat- We still had this from when we ordered it in 2nd grade. It is still super useful, if you don't have it, order it. The Last 500 Years- Easy to read and great visuals. Lots of great maps that will be used during your History Notebooking. READ-alouds- All of the read-alouds this year are consistent with past My Father's World choices, really well-done living books that I highly recommend. Writing a State Report- Simple easy to follow workbook to introduce kids to writing a resource report. Liberty Kids DVD This is a must have supplement for this year! 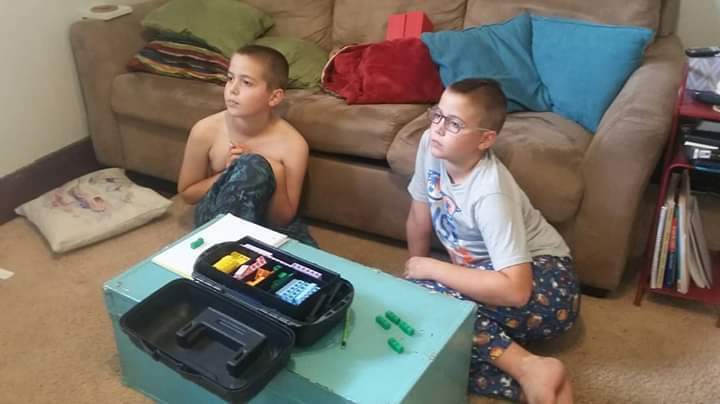 We all LOVE Liberty Kids, I even catch myself watching it with my kids. I found a schedule in a Facebook group to align it with what we were studying. I appreciate the series because it's very kid friendly, but also age appropriately encourages the children to development critical thinking about the War. One of the main characters is a freed slave who bought his freedom, so there are some moments in discussing the irony of men fighting for Freedom yet not giving it to others, yet this is handled in a very child appropriate way. One of the characters is also a girl from England, so you can see the perspective of Loyalists. The girl from England ends up coming to the side of the Revolutionary War, but she adds a great dialogue to the entire series. CLICK HERE TO Buy DVDs. Building a City on a Hill: This book reads more like a textbook. We struggled through anytime we had to read this book, it had names and dates and details that were not really realistic for elementary/junior high to retain. Younger Elementary are really going to struggle with this book. Exploring American History It's definitely a text book format, which does have its place in school. Each chapter has a very helpful summary and comprehension questions, which are extremely helpful in writing your history notebooks. But the American-as-an-idol bias was pretty strong in this book. 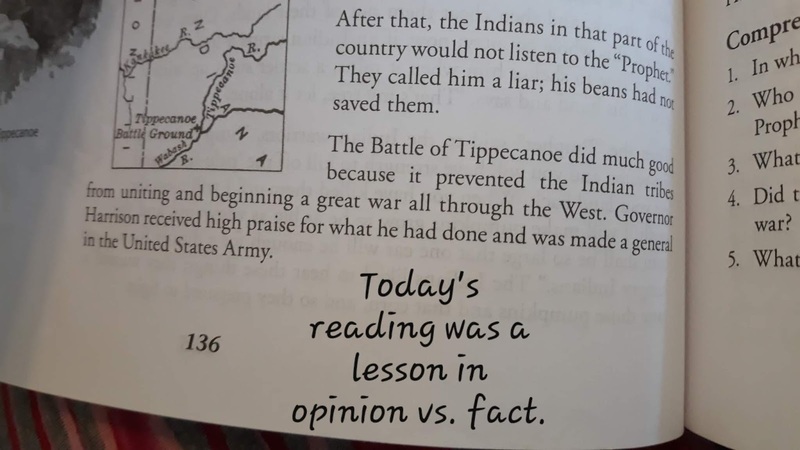 Can anyone tell me what 3 words change the Battle Of Tippecanoe sentence in the above picture from a fact to an opinion? ANSWER "did much good". 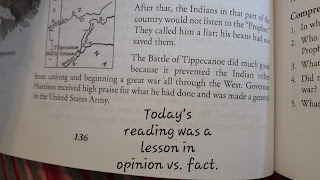 Thankfully my 6th graders can discuss the difference.There was a lot of American legend over fact in this book; from the historically inaccurate account of "not one soldier grumbled" during George Washington crossing the Delaware to the historically inaccurate fairy tale of how ALL colonists in ALL states were "of one mind" in declaring independence. While part of me wants to recommend not reading this book, it honestly led to building really important critical thinking skills in my children. The beauty of My Father's World giving several books for each subject is that with such different opinions, you get the chance to discern fact from opinion, discuss how history is never simple, and how history books are written by humans and is therefore always flawed and from a bias, which we can compare with God's Word which is written by inspiration of the Holy Spirit. That said, I caution anyone reading this book as a textbook to make sure that you read several other historical resources alongside it to help balance out the obvious America-as-an-idol bias. Student Sheets Same as last year, we had only about HALF of the sheets needed. The other half I had to print off from the MFW Facebook groups. Disappointing. History Book Basket List- We enjoyed the book basket, and each week had at least one or two books that we were able to get from the library that really added to our study for History. 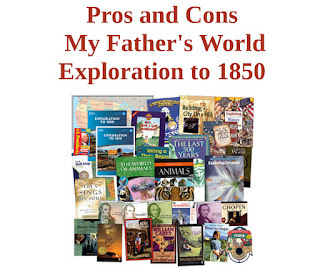 My biggest criticism of the History book basket list this year is similar to the manual, I wish there were more options for the Native American perspective during the settlement of the colonies. For example, they recommend reading all the Felicity American Girl doll books, but miss out on recommending the series, also from American Girl, about Kaya, a native American Girl living the the same time. Science Book Basket List- I as a little disappointed with the science book list. For Zoology, it sometimes had the topic listed the book basket (with no specific books, just the topic). When we got to Botany, no science topics were listed at all in the book basket list, and I ended up taking the extra step each the week and finding the science topic myself, and looking up books. It's only an extra step of flipping back in manual, but it was a little disappointing. World of Animals- Answers in Genesis. This book is perfect for homeschooling different ages. The simple introduction for each chapter is clearly marked " Beginners" for 2nd-3rd graders, with more in depth information for older ages. The student sheets are fun and simple activities to learn the lessons, like making invertebrates out of playdough. The MFW teacher's manual is also needed for reference for the answers to the discussion questions at the end of each chapter. Exploring Creation with Botany We really enjoyed this book. The writing was clear and conversational, and the boys learned complex science lessons on their level. The activities were also very easy to implement, while also very educational. SIDE NOTE- Because we follow a semi-traditional school year calendar, meaning we begin in the fall and have a summer break, we flipped the order of studying botany and zoology. We live in Northern Indiana, and according the to the teacher's manual we would start our botany study in the middle of winter. It was easily by using post-its in the manual, and maybe took me an extra half hour to update the manual. The student sheets & Botany Notebook I printed from the Facebook page all have the week and day on the corner, so it was very easy to reorganize those too. My boys go to Awana and, so we do not use the MFW Bible curriculum. Music Appreciation CDs We did not have these because we just do the basic kit, so I can't review them. God and History of Art- We did not have this book because we just do the basic kit, so I can't review it. Draw and Write Through History- Instead of MFW, add these books because they tie in perfectly to the history study and are done pretty independently. My children's drawing skills have really improved. We also love that they work perfectly with our work boxes. CLICK HERE See our SCHEDULE on how to incorporate into MFW. Thankfully you can easily choose your own Language Arts programs, but MFW does recommend some options. After a few years of tinkering, we have found which of these recommendations do, and do not, work for our family. Language lessons for Today, Grade 6- We again enjoyed LLFT, it continues to be is a gentle Charlotte Mason approach to language arts. Some years past have felt almost too light, but I this year definitely dove into more grammatical structure at an age appropriate level. Write Your own Adventure Stories- My kids hated writing after using Writing Strands, so we successfully switched to Write Your Own Adventures Stories. This book, combined with the many note book pages, helped my boys enjoy writing again. Writing Strand- Level 4. We had some mixed feelings about this book, and while we finished it, I don't think I will continue with these books. At first the instructions were confusing to all of us, but once we learned the flow of the book, we got the hang of it. My children were able to complete the Writing Strands assignments last year, but they never seem to be able to apply anything they learned to their actual writing assignments. In hindsight, I felt the problem was that the lessons broke down & deconstructed writing so much, it became impractical for this age. Thankfully you can easily choose your own Math programs, but MFW does recommend Singapore math. Math U See- We choose instead to use Math U See. 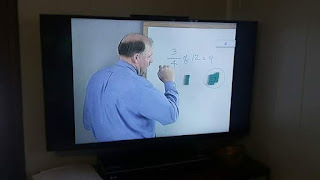 It is a wonderful DVD curriculum. My Father's World doesn't really have a computer skills aspect to their curriculum, so we have found free supplements. Coding- We stumbled onto free coding with Scracth. CLICK HERE to see how we got started. Posts contains some affiliate links, thank you for using links to keep this blog up, at no extra cost you.